The cannabis industry job market is continuing to mature from infancy to adolescence. This change is set about with political, financial, and geographical influences. Along this line of thought, different geographies of the industry, like the Pennsylvania medical marijuana space, are experiencing the “growing pains” of adolescence. 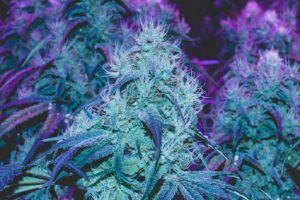 In order to succeed, marijuana industry professionals and “hopefuls” alike must adapt to the challenges put forth in a rapidly changing vocational climate. California contains the most long-standing marijuana-based economies in the United States. However, the industry is now undergoing a complete overhaul due to the opening of a recreational marketplace. These changes will bring with them strict government regulations on cannabis businesses and thousands of dispensary jobs. The California cannabis industry job market is an absolute boon for professionals and hopefuls. Because, cannabis businesses in the Golden State now have to develop branded products that must compete in a regulated marketplace. Colorado as well as the Eastern United States present their own challenges as well as opportunities concerning employment in the cannabis space. To start with Colorado, the State’s residents and politicians had the foresight to develop an industry that is now fully functional. This infrastructure provides respectable positions for a large portion of the population. While the Colorado cannabis job market is no longer experiencing the sort of growth seen in other geographies like the Pennsylvania medical marijuana industry, there are still excellent employment opportunities throughout the state. Finally, looking at novel markets in the Massachusetts and Illinois cannabis industries, front-runners are “suit and tie” business-people. They are focused on professionalizing the cannabis space in a fashion akin to mainstream medical facilities. Currently, East Coast cannabis companies are moving along at a crawl hand-in-hand with legislation in states like Massachusetts and Florida. On that note, competition is fierce and cannabis jobs are slim. Could you please tell me a little about your business and the company’s place within the emergent cannabis market? Within the cannabis industry job market in general, where you see the greatest need for qualified candidates? As a cannabis business manager or owner, what sort of challenges do you face most frequently? Do different geographies in the United States present unique challenges generating business? What sort of advice would you have for individuals hoping to “break” into the cannabis industry on a professional level? Where do you see the future of cannabis industry jobs in your specific field? Is there any cannabis training or education that you would recommend to industry hopefuls in your specific field? This article first appeared in the December 2017 / January 2018 edition of HydroLife Magazine.